Spanish baker Panrico is looking to target the back to school market with the addition of two products to its portfolio. 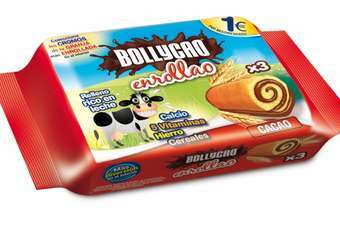 Enrollao Bollycao has been developed for consumption at breakfast or as a snack and contains five vitamins, iron, calcium and nutrients, the company claims. The product is available in a pack of three with an RRP of EUR1. It is also available in a pack of five. Dokyo is designed around the "Japanese dumpling", Panrico says, and contains Dokyo dough and a filling containing cocoa rich milk. These are available in packs of two and four.